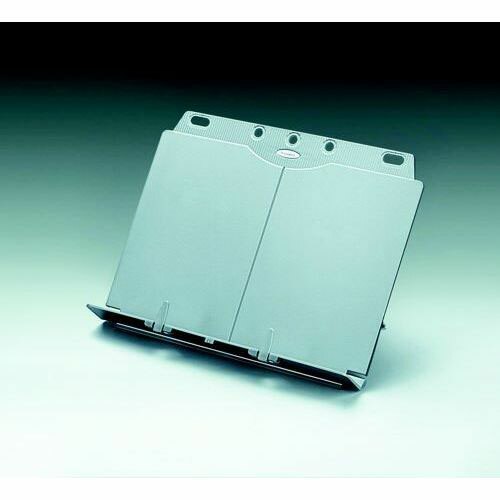 Fellowes Booklift Copyholder Silver - Norwich Office Supplies - Office Stationery and Furniture for Norfolk with Delivery to all of the UK. Get all your Computer Supplies, Print Consumables, Presentation Equipment, Paper, Desking & Seating Right Here! 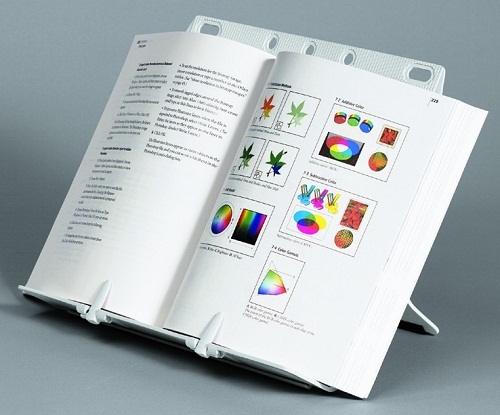 • Designed for planners, large manuals, A4 ring binders or reference material. • Two adjustable clips hold pages open at the desired location. • Height and angle adjustable. Designed for large text books and manuals. Can clip into a two three or four-ring binder for a portable workstation. Nine tilt adjustments. Folds flat for easy transportation and storage. Silver.